The world’s first privately-funded and operated lunar lander, an entrant in the defunct Google Lunar X-Prize competition, suffered a failure during a landing on the lunar surface. The Beresheet lander (“in the beginning” in Hebrew, so named after an Israel-wide naming competition) was designed and built by SpaceIL from 2011 onwards for the Lunar X-Prize competition, and the project continued when the Lunar X-Prize was ended in 2018 without a winner, or even without an entry flying into space. SpaceIL was founded in 2011 by three Israeli engineers (Yariv Bash, Kfir Damari, and Yonatan Winetraub) who wanted to enter the Google Lunar X-Prize competition which at the time was teeming with competitor teams trying to win the $30 million prize. Besides trying to win the X-Prize, the SpaceIL effort was also intended to inspire Israelis and others to study science, technology, engineering, and mathematics (STEM), to create an “Apollo effect” in the country. The SpaceIL nonprofit group was able to keep going even as other teams began to drop out of the competition, and as the original deadline to win the X-Prize was extended. The SpaceIL team was helped by multiple donations from the Israeli Space Agency as well as a donation from billionaire Sheldon Adelson in 2014. In October 2015, SpaceIL became the first Lunar X-Prize entrant to secure a launch contract, which kept the competition going with the new deadline for completion set for December 2017. In late 2017 SpaceIL requested $30 million to finish the lander, and several donors came through, which ensured that the spacecraft could eventually fly, even as Google withdrew its sponsorship of the Lunar X-Prize in early 2018, stating no team could make the final deadline of March 31, 2018. 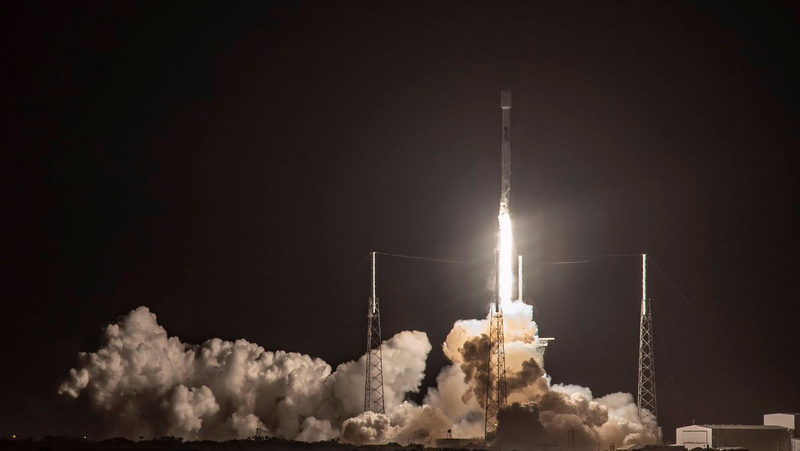 SpaceIL’s launch contract with SpaceX and Spaceflight Industries was finalized and the mission was slotted to fly along with the Indonesian Nusantara Satu and USAF AFRL S5 satellites on a Falcon 9 Block 5. The Beresheet lander was built by IAI (Israel Aerospace Industries) and is operated from a mission control facility in Yehud, Israel, southeast of Tel Aviv. The craft, weighing 585 kg (1,290 lbs) fully fueled at liftoff, would be the smallest spacecraft ever to land on the lunar surface, and is a boxy structure 1.5 meters (5 feet) high and 2 meters (6.5 feet) wide (about the size of a washing machine) with four reverse-tripod landing legs and covered with gold multi-layer insulation. The landing legs have crushable aluminum honeycomb structures as well as stainless steel deformable structures that both are meant to absorb the energy of the landing, and they were extensively tested at IAI along with the rest of the spacecraft. They are designed to extend out so that the craft would be 2.3 meters (7.5 feet) wide when the legs are deployed. The lander is equipped with a single British-built LEROS 2b engine fueled by MMH (monomethylhydrazine) and MON (mixed oxides of nitrogen) for major maneuvers and the landing itself, along with small thrusters at the bottom of the craft. 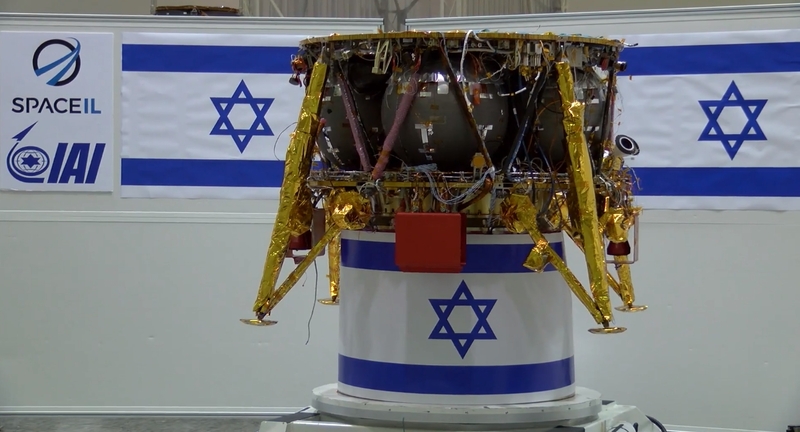 On the top side of the lander, solar panels, cameras, and scientific experiments are mounted on the deck, and a plaque with the Israeli flag is also on the top deck. Besides photography of the lunar surface, the lander contains a magnetometer developed by the Weizmann Institute of Science and UCLA in Los Angeles, as well as a passive retroreflector provided by NASA’s Goddard Space Flight Center, a device similar to the ones sent up aboard Apollo missions fifty years ago, one that can be used to measure Beresheet’s location on the lunar surface to within 4 inches, measure the Earth’s distance to the Moon, and form part of a navigation system for future lunar spacecraft. 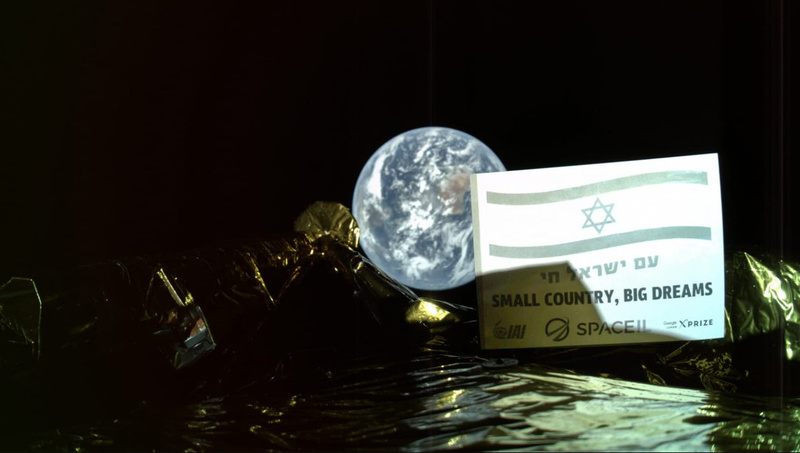 The SpaceIL team also placed a digital time capsule aboard the lander, featuring a DVD with 30 million pages worth of data called the “lunar library” that is a full compendium of human knowledge, intended as a backup if humanity got into trouble, or to show any alien beings that come across Beresheet in the far future that humanity existed. Among the documents in this digital time capsule are a complete archive of Wikipedia, drawings of space from Israeli children, and the memoirs of a Holocaust survivor. 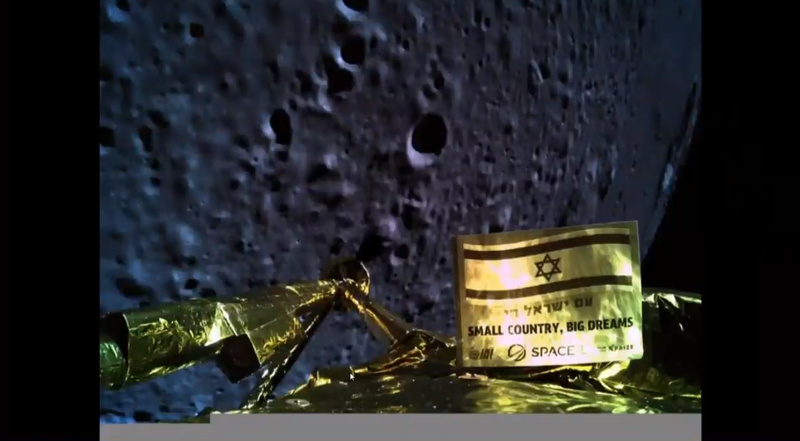 Beresheet separated from the second stage and was activated successfully, and started its seven-week journey to the Moon. The first of a number of rocket engine firings was accomplished three days after liftoff and the team overcame issues involving a star tracker as well as an unexpected computer reset (likely due to cosmic radiation) to get the lander into lunar orbit on April 4th. The Beresheet doesn’t have backup systems so any major failure was always likely to doom the mission. However, right until the last moment, the the craft had been functioning. The landing aimed for the northern end of Mare Serenitatis (Sea of Serenity) near the crater Posidonius-E, and was about 10 KM from the surface before issues were noted. First, a loss of telemetry was observed, before returning. Then the main engine – which was conducting the braking maneuver and allowing the spacecraft to conduct the landing process – apparently failed. Last we saw was the vertical speed accelerating and past the redline. That was due to loss of Main Engine. They got the engine back on, but lost communication with the spacecraft shortly afterward. Attempts were made to reset the spacecraft, which appeared to work as the team noted the engine was firing again. However, by then the telemetry showed the craft was way above the red line for descent velocity and was likely hurdling towards the surface in an unrecoverable scenario. Telemetry was lost again, shortly followed by an announcement the craft was lost. It was likely destroyed – based on the decent velocity – when it finally came into contact with the lunar surface. With the Prime Minister and other key figures at the event, the potential of another attempt in the future is possible. The Beresheet lander was designed to last 2-3 days on the surface as there was no thermal control system, so the lander could overheat in the lunar day. While Beresheet is operating its magnetometer were to measure traces of the ancient lunar magnetic field, which was once as strong as Earth’s billions of years ago, and measure magnetic anomalies known to be in the Mare Serenitatis area. This would have helped scientists understand the Moon’s geologic history better. The $100 million mission, the first spacecraft from a smaller, non-superpower country set to land on the lunar surface, as well as the first private lunar landing mission, was to communicate with six ground stations on Earth, and will be supported by the Deep Space Network, as all missions beyond Earth have communications going through a facility at JPL. IAI was already looking at the possibility of offering the lander design for commercial lunar missions. The Beresheet mission was to be the second spacecraft to land on the lunar surface this year, after the Chang’e-4 landing on the far side of the Moon in January, as a worldwide push to return to the surface of the Moon with robotic landers, and later, human crews, through commercial providers and governmental space agencies gather momentum, in what is expected to be the next great chapter of space exploration, 50 years after the Apollo 11 landing.